Question: Can you please describe the current policy of PJAK and its views on Iran? ─ With appreciation, Iran has continued on its policy of denying our nation, considering Kurdistan as a security zone. As the result of this, the PJAK, particularly after its Fifth Congress, has been adamant on its adopted strategy of resistance vis-à-vis the Iranian authorities. We have demanded our rights, for the accomplishment of which we adopt and pursue multiple approaches. We are of opinion, however, that a peaceful method is the first alternative. Yet if the Iranian authorities continue to pursue its adopted policy of denial, we will try, soon or later, other methods. Iran is governed through a despotic state. No opportunity is given to nations living in Iran to promote a democratic and free life. Internally, unemployment, corruption, destitution, prostitution, hopelessness aggravated by the economic crisis, which stem from the incapability of state officials, have produced a difficult life for peoples. Externally, the export of Shia Islam, accompanied by Iran’s interference in the regional countries have given rise to such an insecure atmosphere that has turned Iran into a fertile ground for terrorism. Q: The Iranian regime now has influence in many countries in the region and appears stronger than ever, how is PJAK confronting that? ─ It is true that Iran has held its influence on a number of countries and regional establishments, pretending it has been acting out of strength. For example, it has deployed military presence in Syria, Lebanon, and Yamen, among others. Notwithstanding, we should not forget the fact that Iran suffers from a set of internal problems ranging from economic down to social and cultural spheres. It has been unable to promote a viable model for solution of the problems the Iranian nations have suffered from. The latter issue resembles a bomb which needs only a spark to explode. We work on the promotion of cooperation between Iranian nations. Based on this perspective we have been strengthening and solidifying our mobilisation efforts into a power which will, in due course, be manifest for public observation. Q: What is the role of other minority groups in Iran, such as Baloch, Azeris, and religious minorities in relation to PJAK? ─ Within the context of our paradigm, all ethnic, national and religious entities are secured with the fundamental rights of enjoying a life in their own community based on their own identity. By virtue of this paradigm, we have cultivated a good relation with these communities and will work harder in future to strengthen it. We are of opinion that the time has arrived for the formation of a national platform for the accomplishment of which we have been working for the last few years. We believe that such a platform can serve as a formidable power to tackle the despotism of the Islamic Republic. Q: What is the best way to confront the Iranian regime at this time? ─ It has been 38 years that the Iranian regime has been employing the language of threat and violence. It has refused to pay attention to anyone’s idea or suggestion. It has always been a threat to our nation, employing against it all sorts of violence. Moreover, it has posed a significant threat to the whole region. The reason that it has not adopted a language of dialogue is that because many European states have directly or indirectly thrown their support behind it, turning a blind eye on this regime’s terrorist mentality. Among this the Obama administration stands as the most prominent. The solution lays at the consolidation of the Iranian peoples’ front. Internally, the Iranian regime should not be let to suppress the Iranian peoples as it wishes. Externally, it should not be allowed to pose a threat to other peoples. Until these officials remain in power, the region is not likely to enjoy peace. By virtue of this, some radical steps should be taken. Q: How does PJAK view Israel? ─ The Jews are a nation who, like every free society, deserve a peaceful and free life. Other than the people of Israel, no one has the right to decide for the people of Israel. In Kurdistan, at some points at its history, many Jews had lived who then left the country to go back to Israel. Unfortunately, due to oppressive policies of the Iranian regime they were not allowed to live in a country where they were born and like many other Kurds had to depart their country. The Kurds and the Jews have various common points and interests. Their roots, moreover, are tied to Mesopotamian culture as they have throughout history lived in Mesopotamia and Anatolia. I believe that they are a determined nation who despite all these enemies have succeeded in preserving themselves, manifesting a powerful will. From a strategic point of view, a free Kurdistan can be a powerful ally to the Jews in the region. 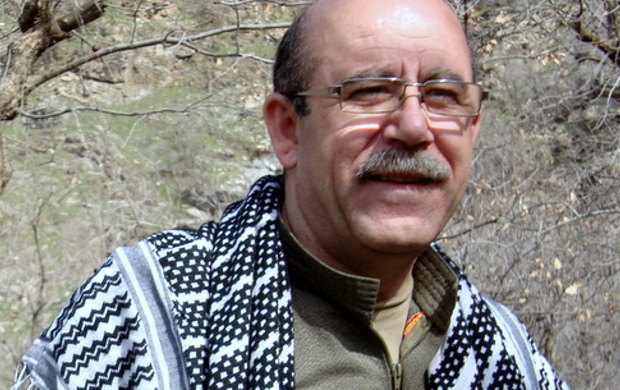 Q: Does PJAK believe that Israel’s interests and the rights of Kurds in Iran have shared interests? ─ Of course they have a lot of common interests, but they should be viewed and analysed from different perspectives. Q: How does PJAK view other Iranian Kurdish groups such as PDKI, is there a joint struggle or not? ─ After PJAK’s Fifth Congress during which I was elected a Co-President, we decided to promote a good and sound relation with other Kurdistanian parties in order to merge our potentials against the Islamic Republic. Unfortunately, the classical Kurdish parties do not promote a transparent policy, failing even to formulate a correct plan and strategy. Even though we have offered them an inclusive set of plans, encompassing political and other relevant dimensions, we have not received a clear response from them. Owing to this, we work on our own potential and when other parties reached the point of accepting a cooperative relations with us, we will not see any obstacle to it. Q: What is PJAK’s vision for the Iranian future? Democracy? Women’s rights? ─ The PJAK works for the formation of a free and democratic society. Based on this, we believe that democratic confederalism is the most viable model for a multi-ethnic and multi-religion society. In this model each and every single community can represent its identity. Within the context of our paradigm and philosophy, women are established as a pioneering character; a philosophy that has been brought into practice. According to the mandate of our Fifth Congress, women should constitute half of the leadership of the party as well as other organisational institutions; a mandate that has manifestly been put into effect. Q: Does PJAK worry about Iranian influence in Baghdad and Iraq, and Shia militias such as the Hashd al-Shaabi (PMU) which are alleged to be backed by Iran? ─ The Hashd al-Shaabi (PMU) constitutes a part of the Iranian project to remain in Iraq and the maintenance of its proxy war. They have had an effective role as Iran has manipulated them well. Now with the budget of the Iraqi regime, PMU has been implementing the Iranian’s strategies in Iraq. Very lately, their effective role in the conquest of Mosul has served to strengthen their status. This in turn implied the strengthening of Iran’s influence in Iraq which poses a threat to the region as well as the progressive establishments. I believe it would be detrimental to everyone. We consider the PMU, the Iranian Islamic Revolutionary Guard Corps, and the Iranian Mobilisation as the same. Q: Does PJAK view the new US administration and its critique of Iran’s regime as a positive development? We had previously criticised the Iranian policy of the Obama administration, believing it was as mild as it was supportive. Emboldening the Iranian authorities this helped them to adopt a much more barbaric approach. Now, if the Mr. Trump’s policy vis-à-vis the Iranian conservative regime is to be taken seriously, in order to facilitate some changes in it, I believe there is potential that could be mobilised. We support anyone who stands against the despotism of the Islamic Republic of Iran.